Margaret joined Hurd Rolland in 1989 and is involved with all aspects of administration across the practice. She ensures that everything runs smoothly and is an essential part of the support team at Rossend. Prior to working at HRP Margaret helped run her family retail business, including dealing with customers and running the administration side of the retail operation. Margaret started her career with Royal Bank of Scotland working as a secretary in the investment section. She then relocated to Lancashire for several years working as an administrator with AMEC Construction Ltd before returning to Scotland in 1985. 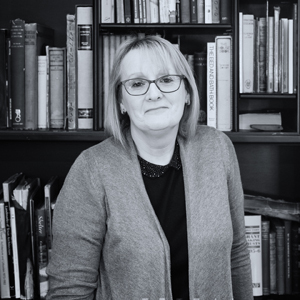 With her varied experience she is a valued member of the team at Rossend.